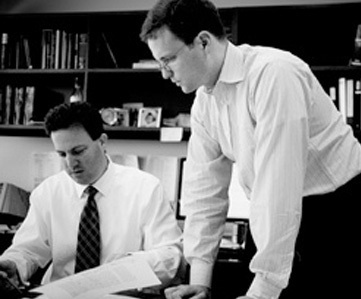 Working on behalf of the National Association of Criminal Defense Lawyers, MoloLamken sought leave to participate in Director of the Serious Fraud Office v. Eurasian Natural Resources Corp., a case currently pending before the U.K. Court of Appeal that raises important questions – with international implications – concerning the scope of protection for attorney work product under U.K. law. In the decision below, the U.K. High Court of Justice held that certain documents prepared by counsel during the course of an internal investigation, such as summaries of witness interviews and other attorney work product, were not covered by the “Litigation Privilege,” the U.K.’s analog to the American work-product doctrine. Consequently, the High Court held that the U.K.’s Serious Fraud Office (SFO) could compel disclosure of those documents during one of its investigations. The High Court’s decision could have grave implications for a lawyer’s ability to maintain confidentiality over work product prepared during an internal investigation – not only in the U.K. but in the U.S. as well. Because the U.K. Litigation Privilege protects largely the same types of documents and information protected by the U.S. work-product doctrine, compelled disclosure of such information under the High Court’s decision could result in waiver of work-product protection in the U.S.
That concern is not merely theoretical. As more corporations do business in Europe and the United States, regulatory authorities in the U.S. and Europe have grown more cooperative in their investigative efforts. Nowhere is that enhanced cooperation more apparent than between the SFO and the Department of Justice. Some 24 times in the past four years, SFO and DOJ have worked together, going so far as to formally agree to share key evidence. In cross-border investigations like those, if attorney work product is available to the SFO, it almost certainly will be available to DOJ – work-product protections notwithstanding. Last month, MoloLamken put the international consequences of the High Court’s decision before the Court of Appeal, seeking leave to intervene by way of written submissions. Read MoloLamken’s brief here. At the beginning of July, the Court of Appeal heard three days of oral argument in the case. Read here for more information about the argument.